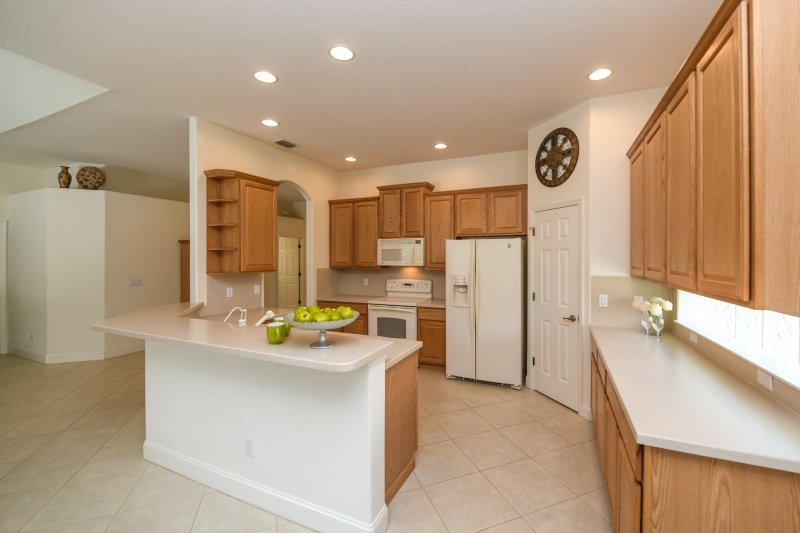 This meticulous and lightly lived-in “Biscayne III”-model of almost 2200 sq. 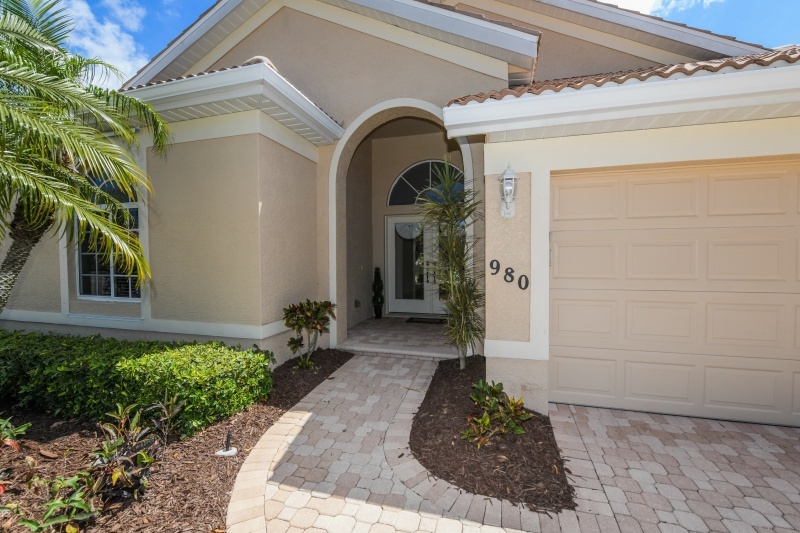 ft. was built by Lennar in 2004. 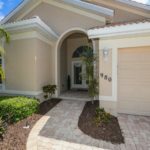 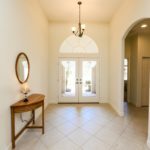 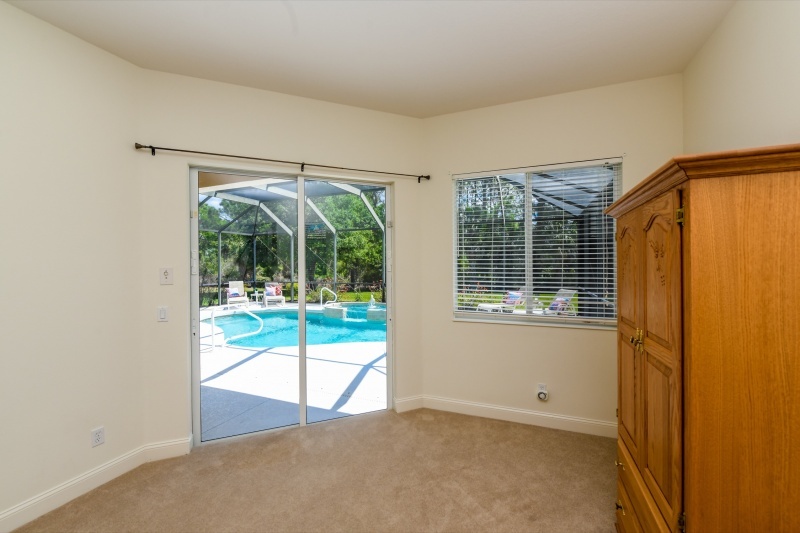 Located in Woodlands at Rivendell in Osprey, the attractive great room-floor plan with 3 bedrooms + den/media room & 2 baths, has an inviting west facing double door entry, neutral tile flooring on diagonal, and soft colored walls. 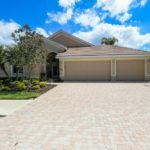 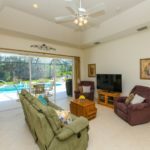 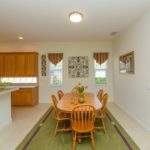 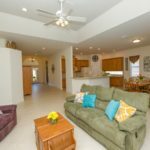 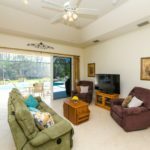 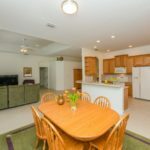 The spacious east facing pool area with saltwater pool, spa and fountain, has several sitting/sunning areas and magnificent views over lake and Oscar Scherer State Park. 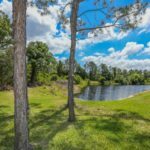 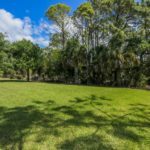 You can watch birds, deer, and the Florida wildlife right from your back yard. 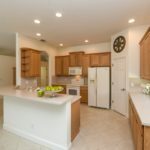 The large open kitchen with oak wood cabinets, Corian counter tops, has decorative glass block windows for natural lighting. 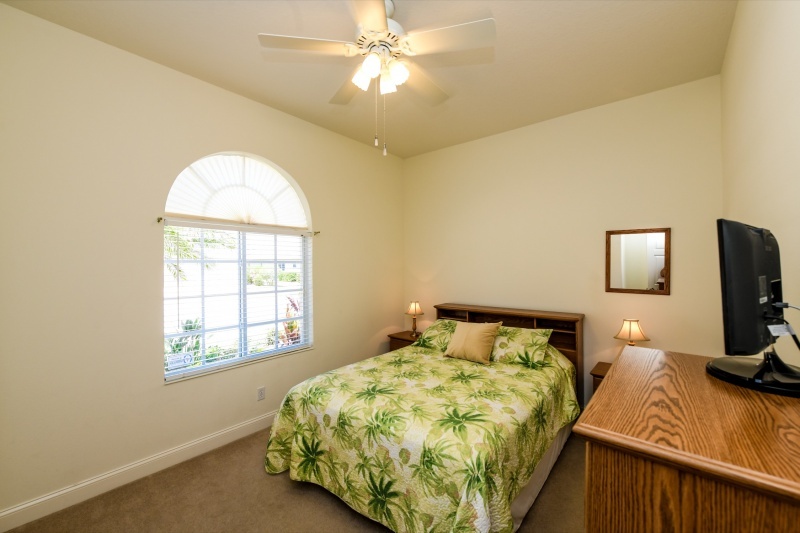 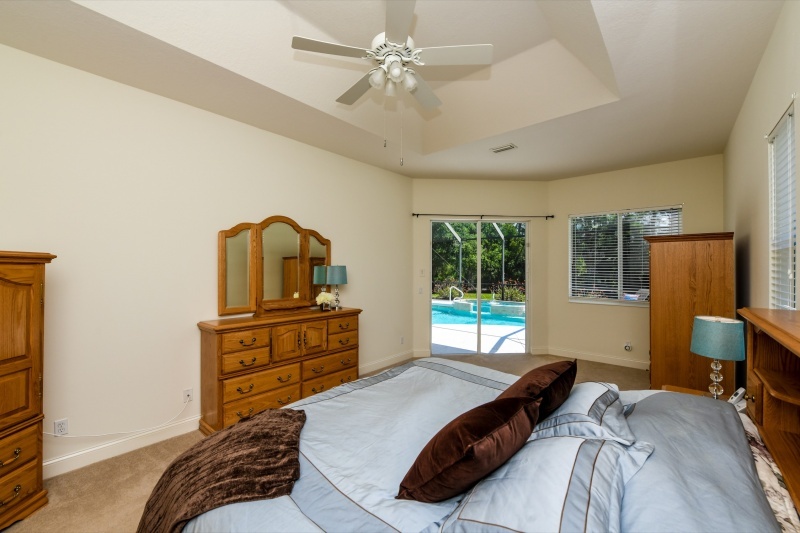 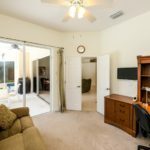 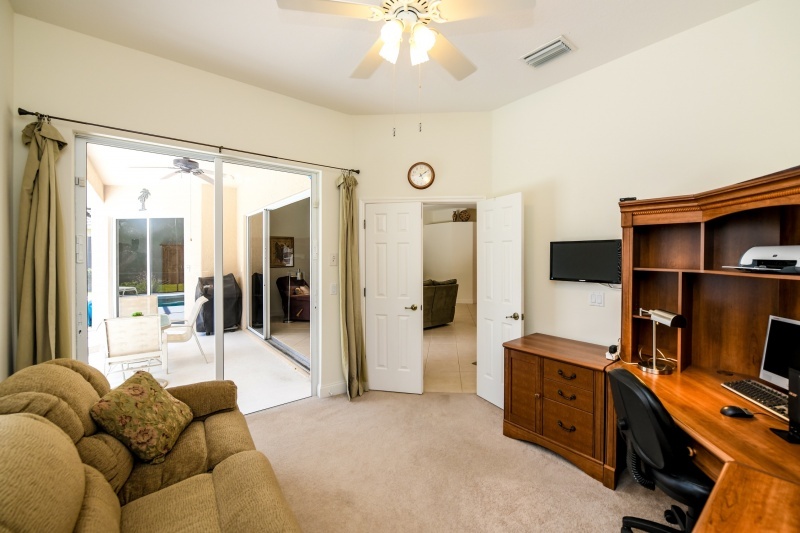 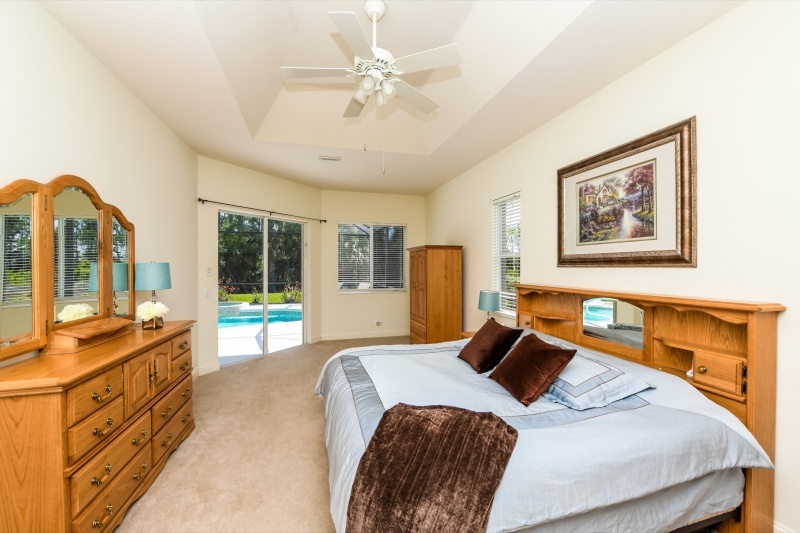 The master bedroom with sitting area and carpet flooring has sliding doors to pool and lanai. 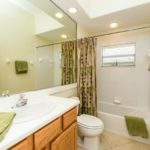 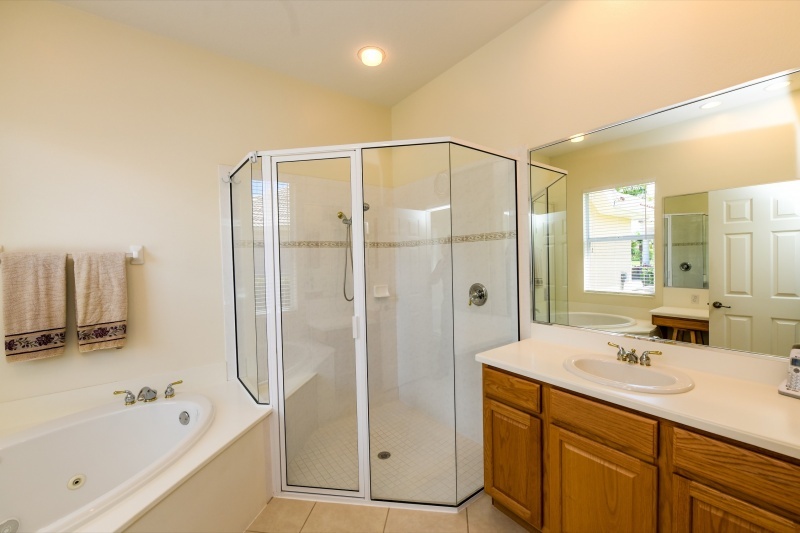 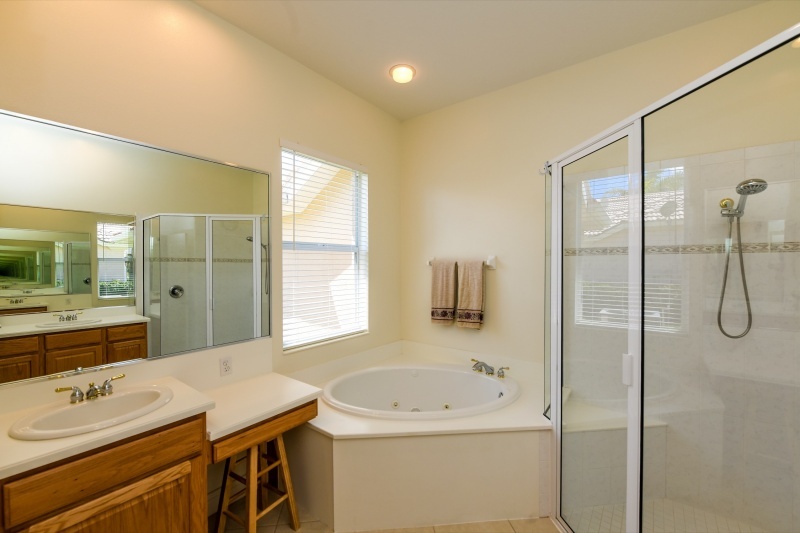 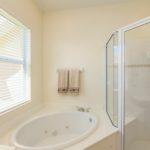 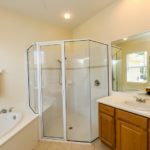 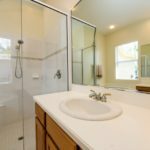 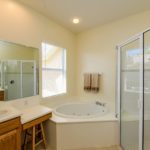 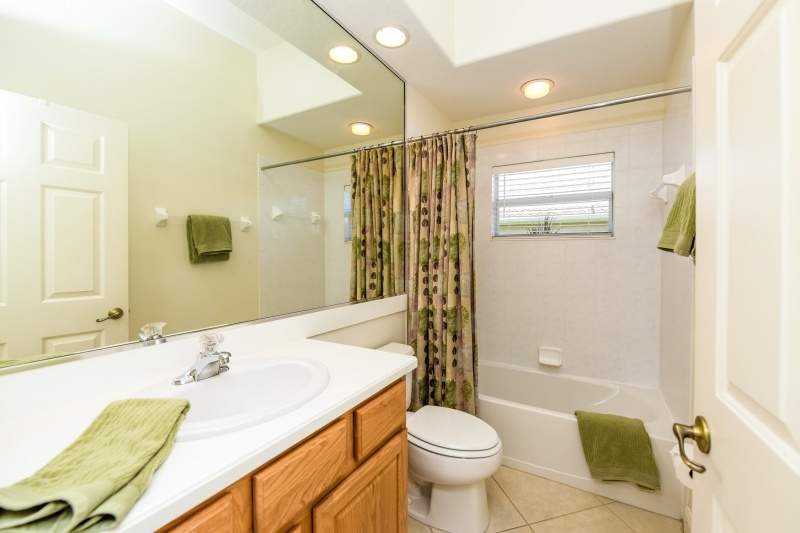 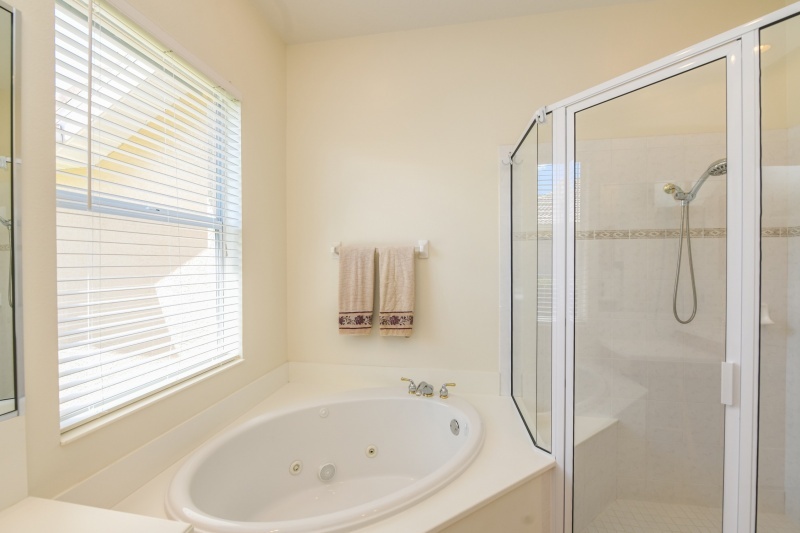 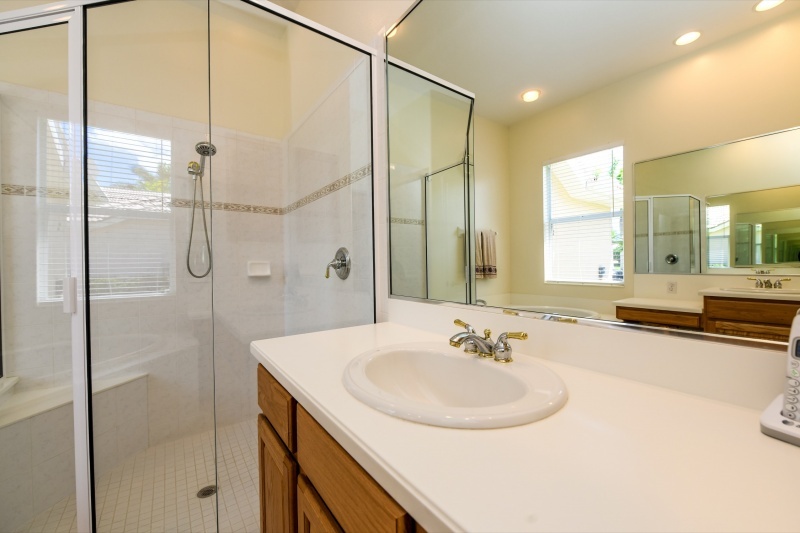 Master bath with tub, separate walk-in shower and double sinks. 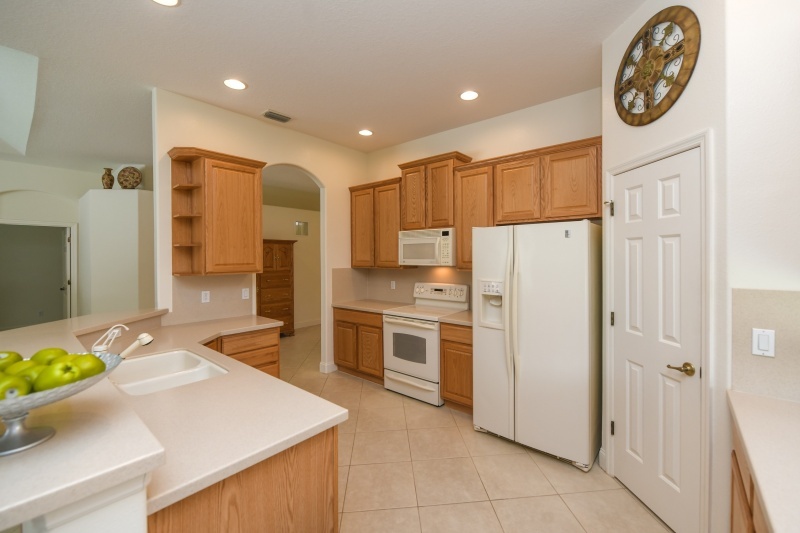 Washer/dryer hook up in laundry room with wall cabinets (dryer stays). 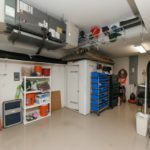 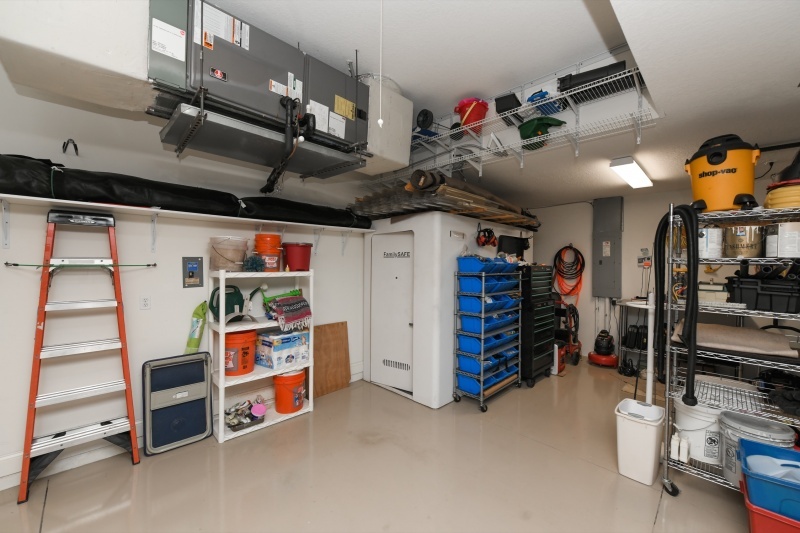 The three-car garage has epoxy coated floor, wall shelving, storage for Lexan hurricane panels and screens, and a safe room rated for 250 mph winds. 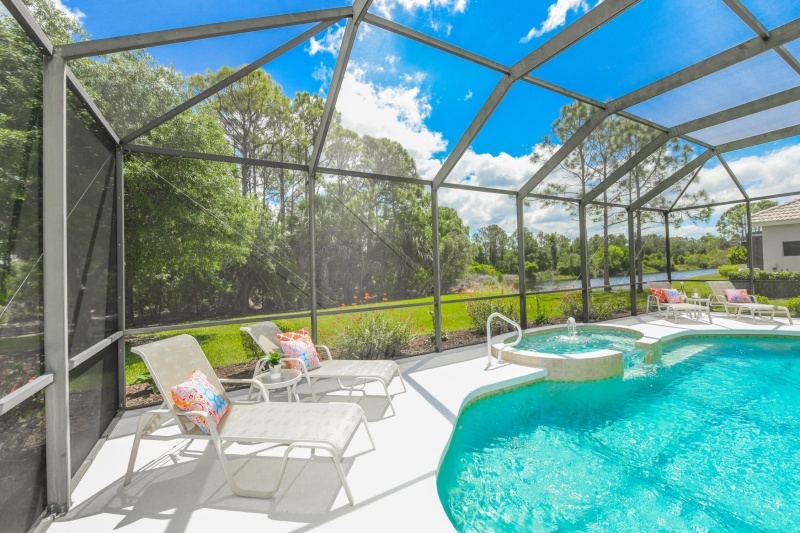 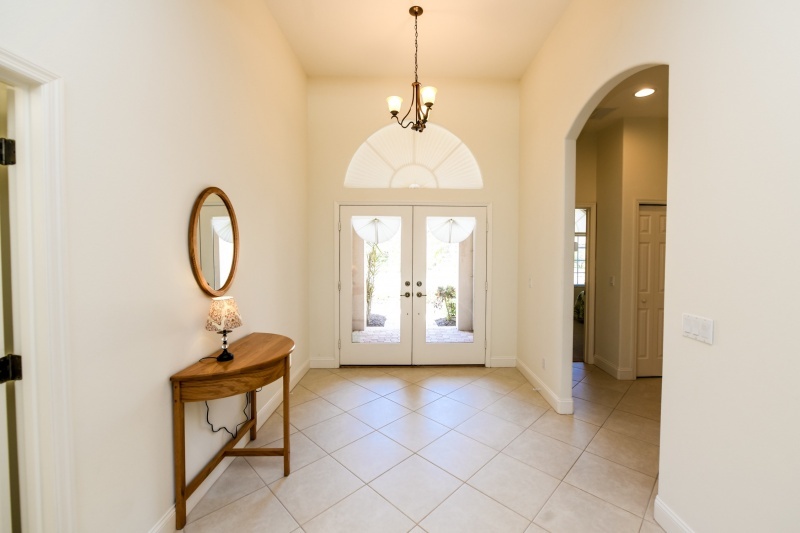 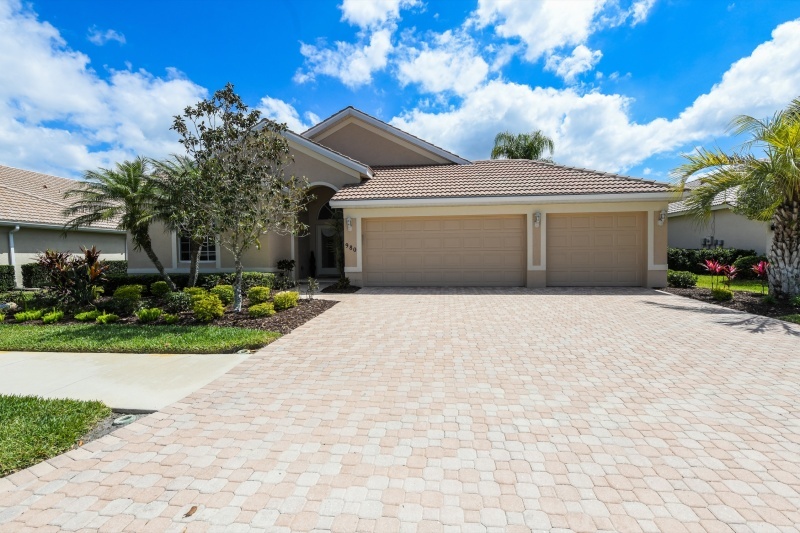 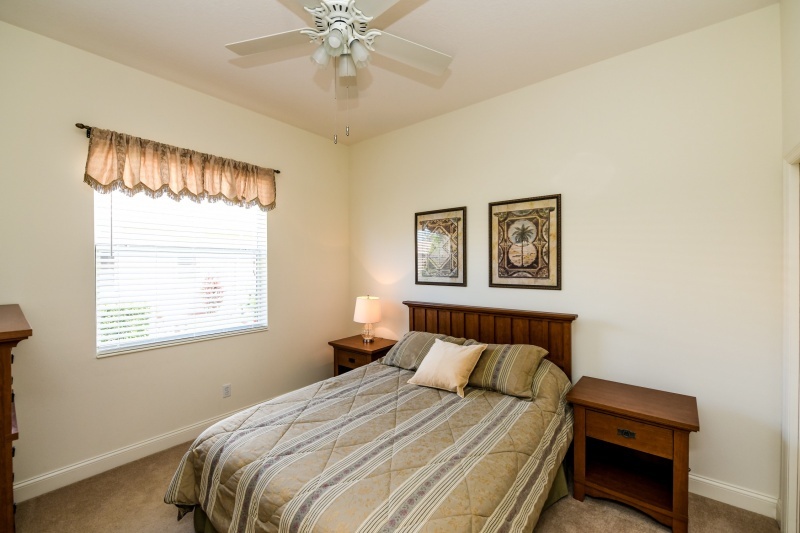 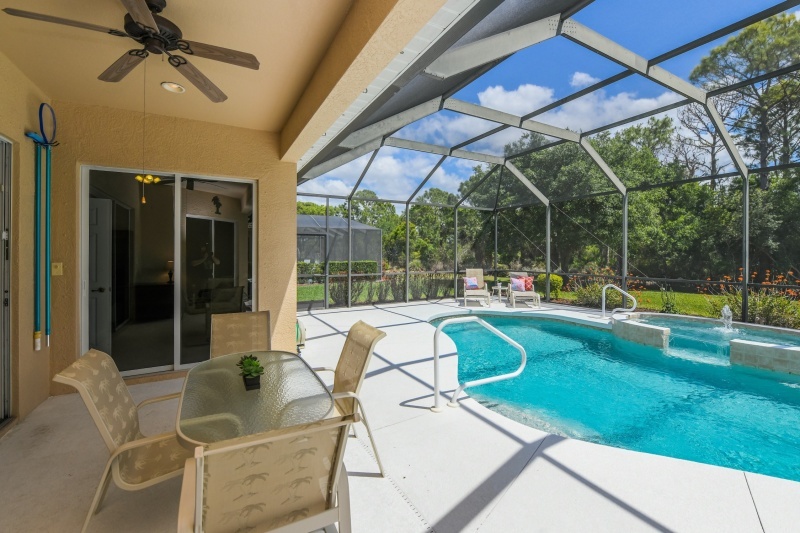 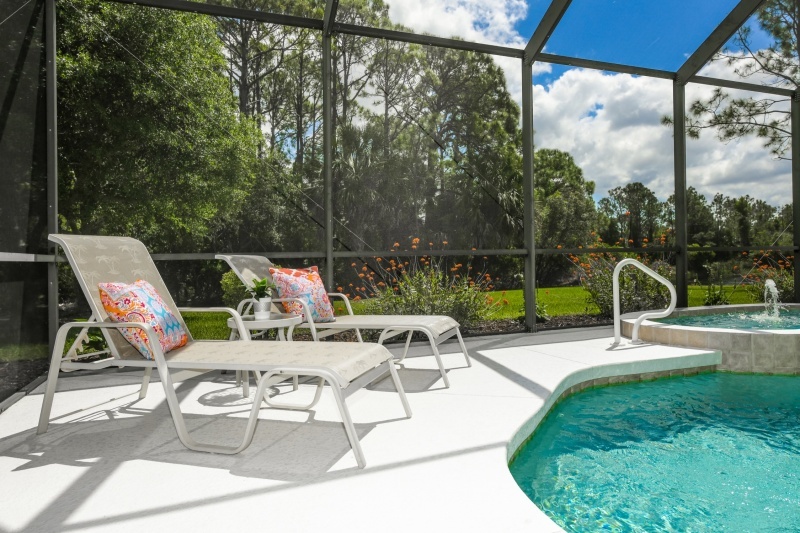 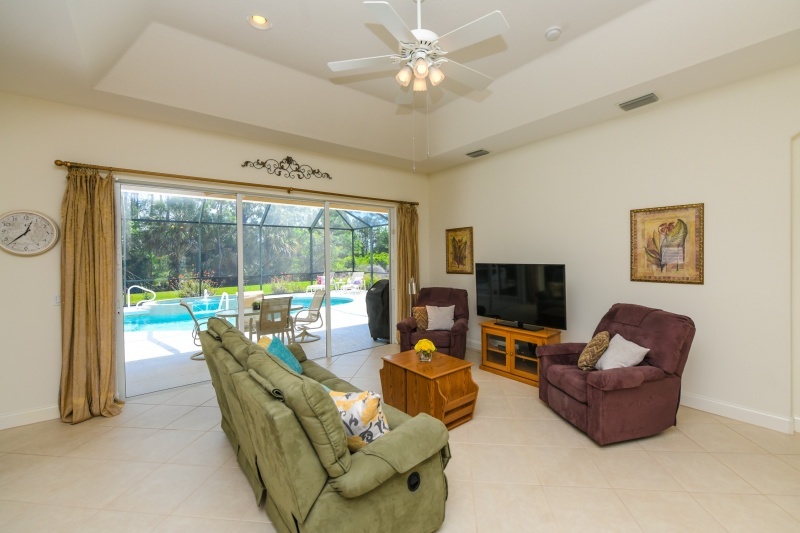 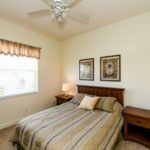 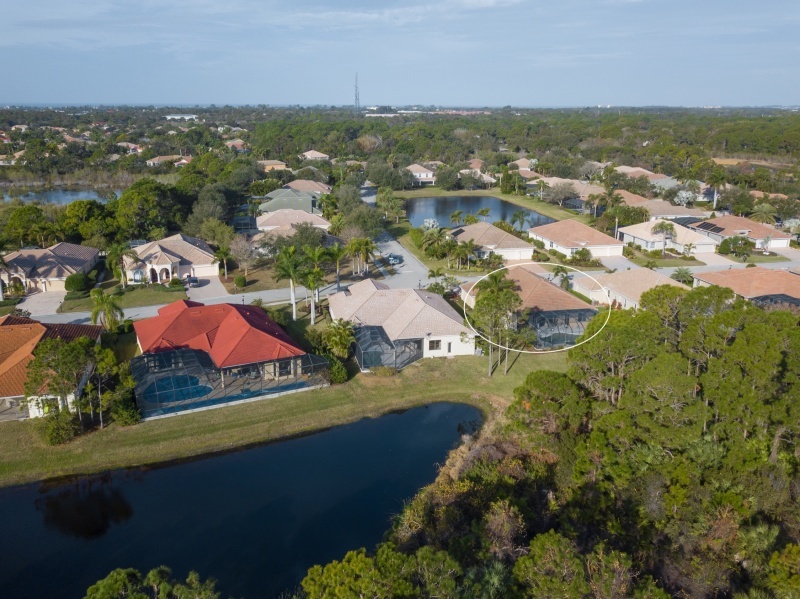 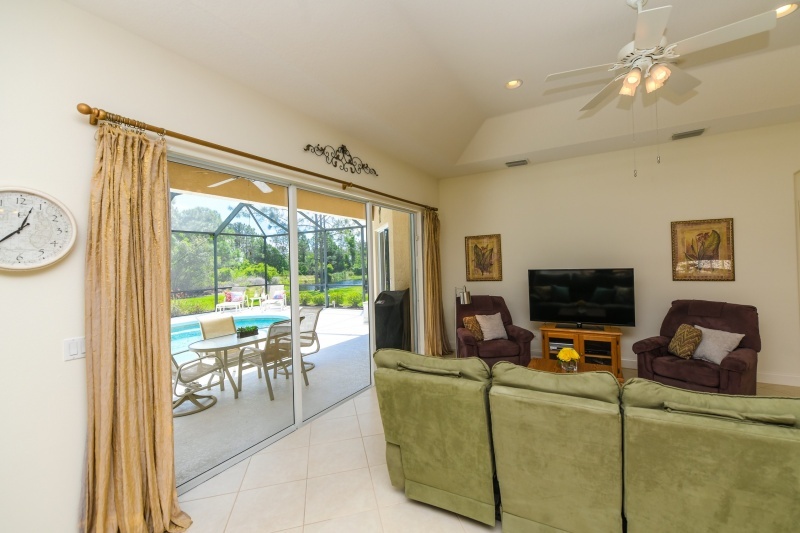 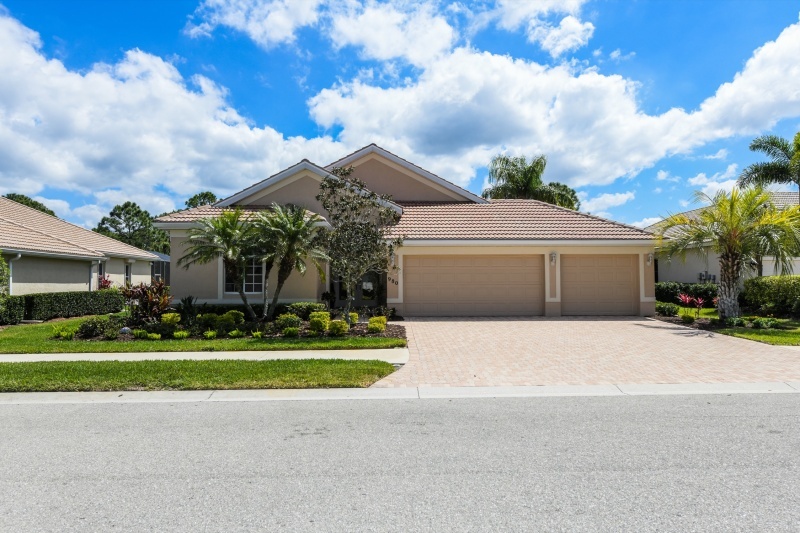 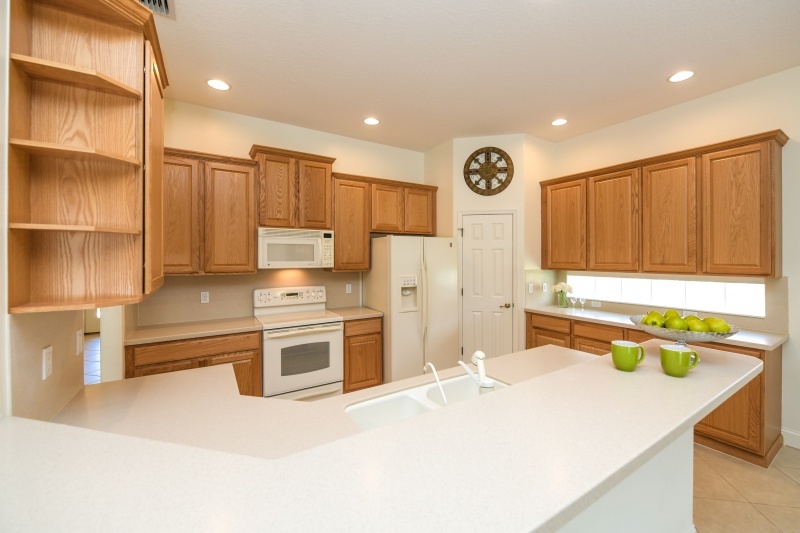 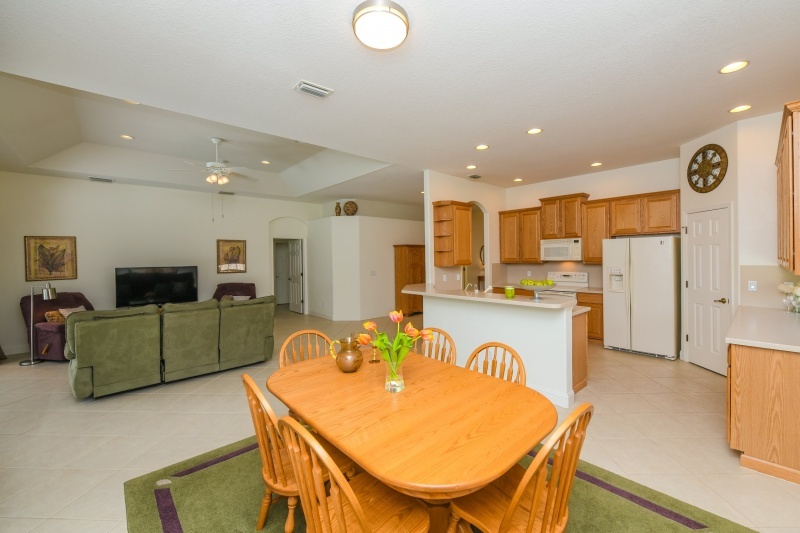 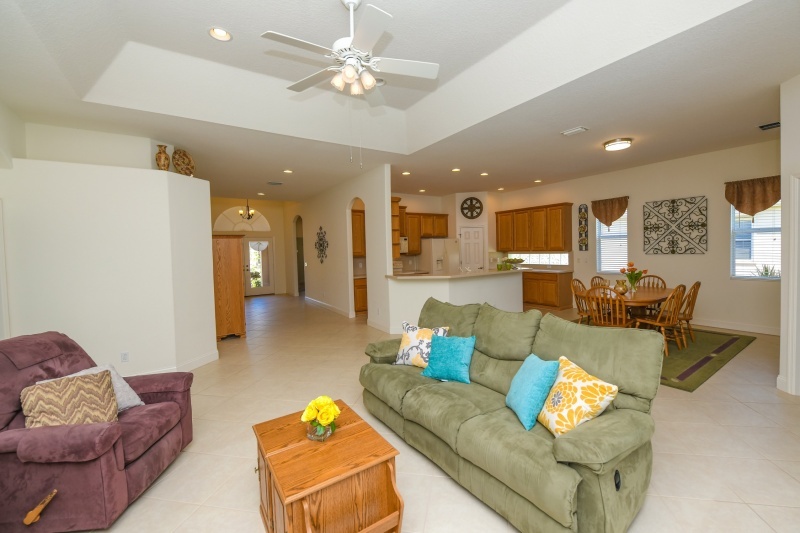 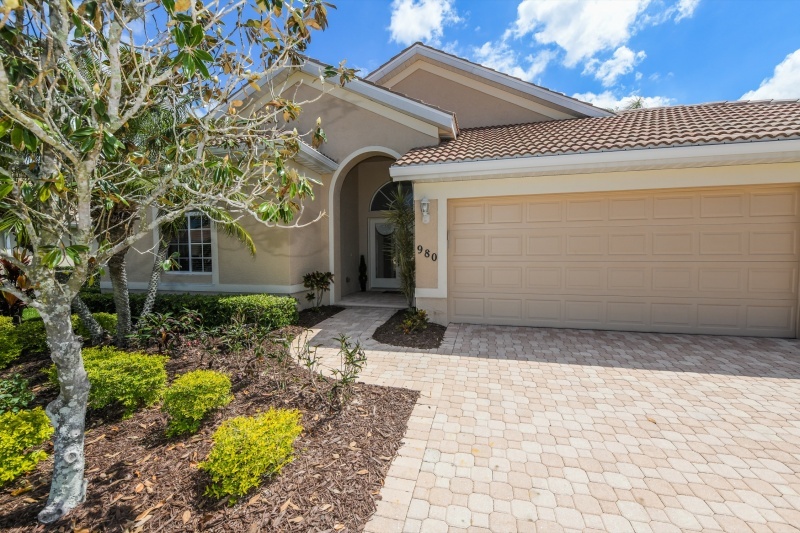 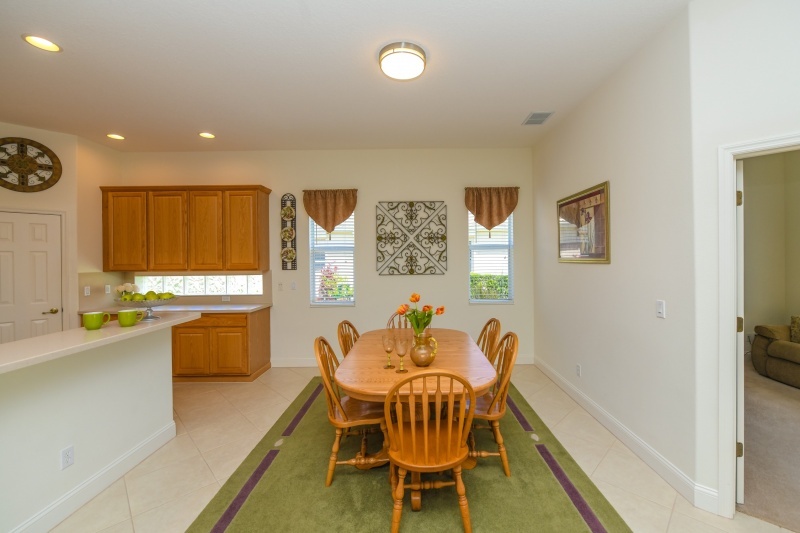 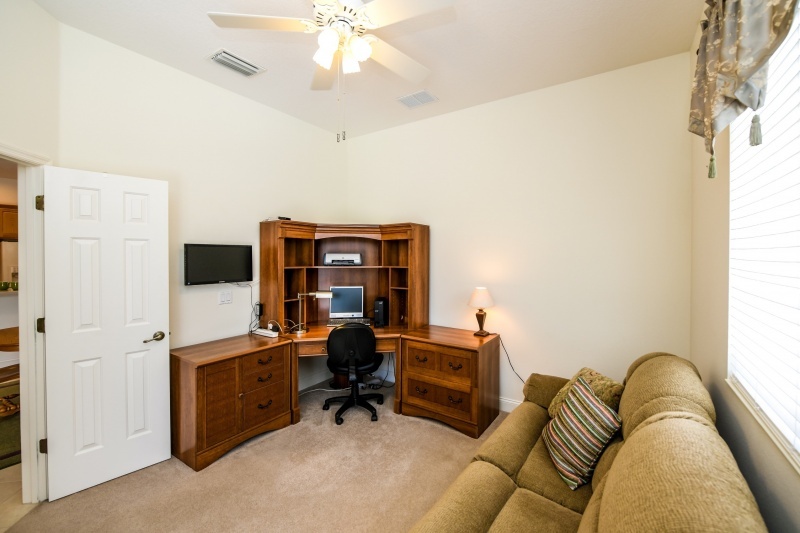 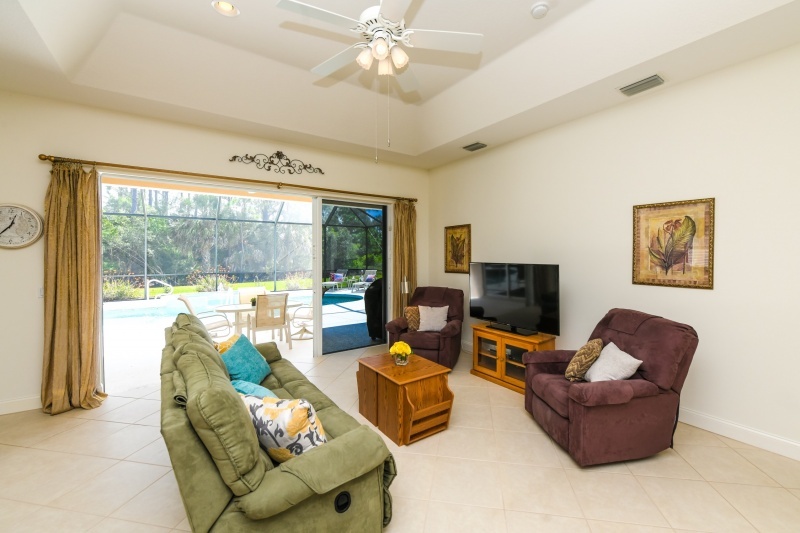 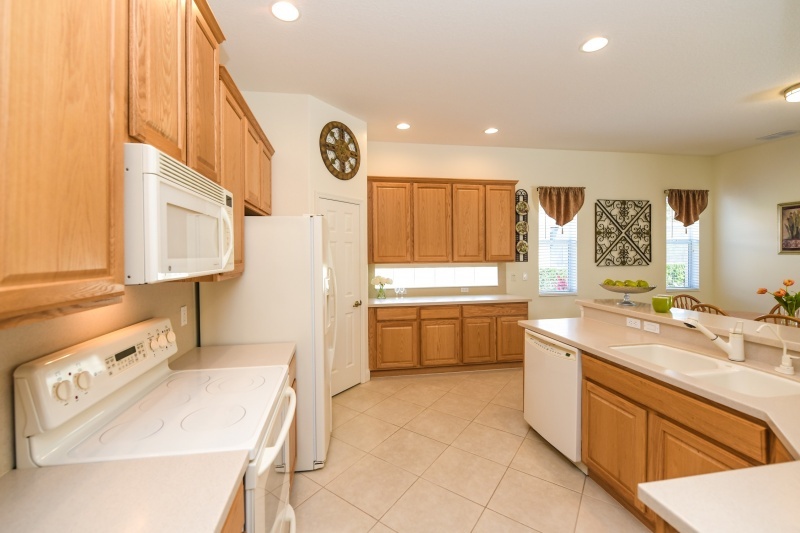 Woodlands at Rivendell is conveniently located in Osprey, between Venice and Sarasota. 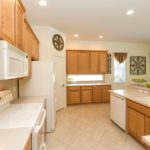 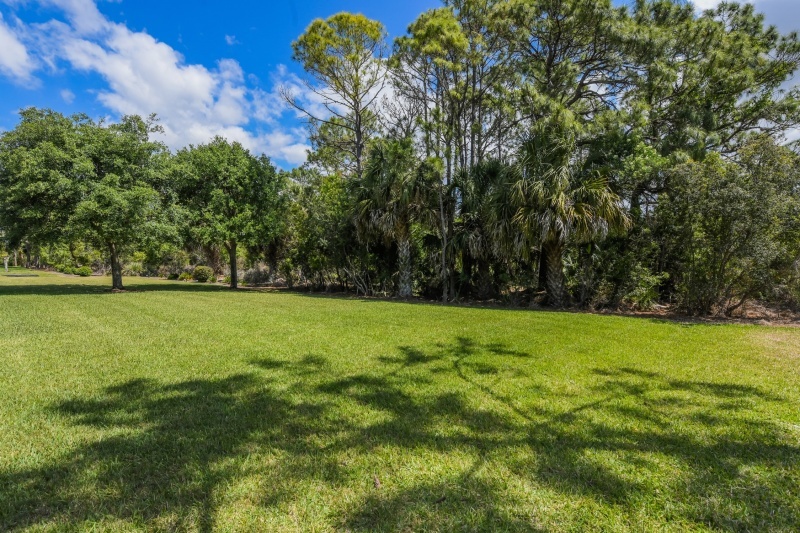 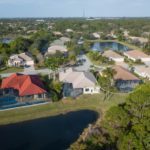 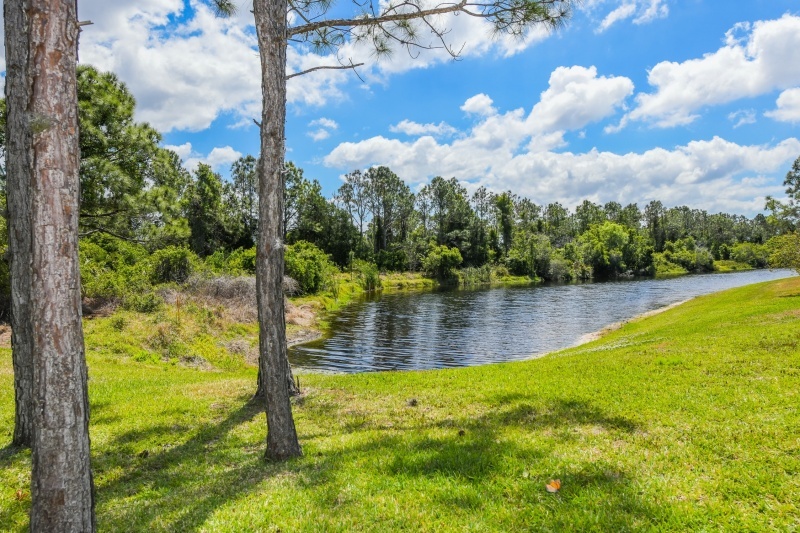 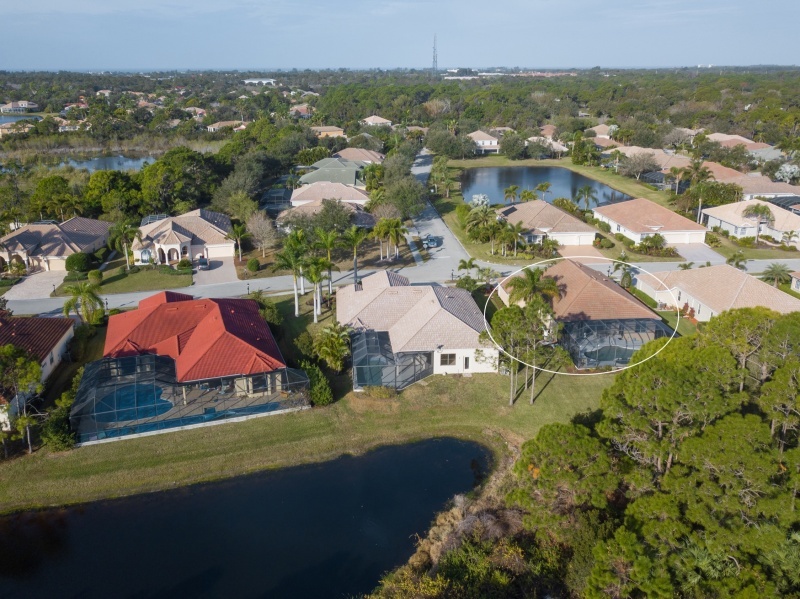 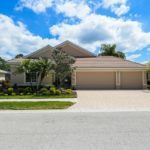 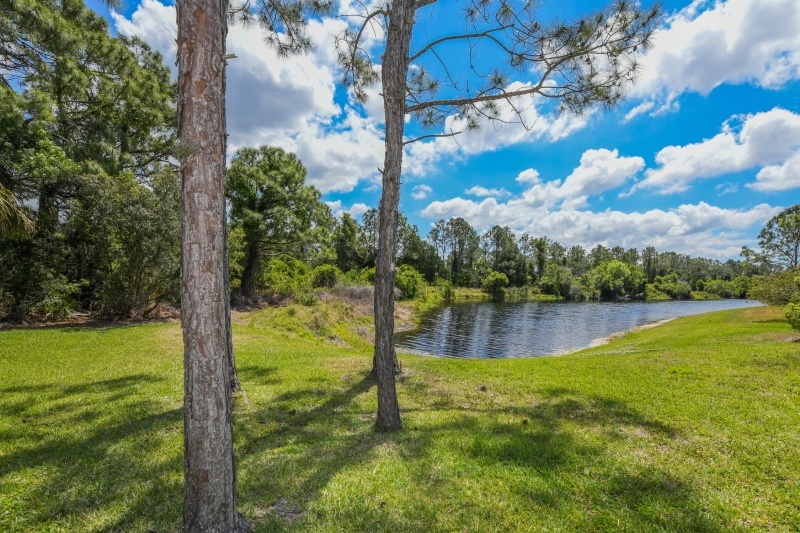 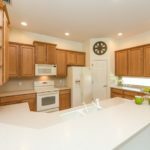 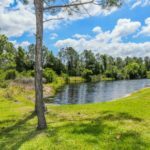 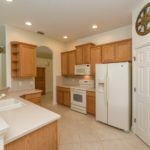 Situated adjacent to top-ranked Pine View School, the friendly neighborhood offers beautiful landscaping, winding sidewalks along the many lakes, scenic nature trails, playground, and a community pool. 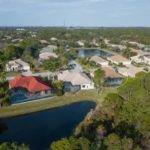 The Legacy Trail offers miles of biking and exercise opportunities and the white sandy beaches on Casey Key are only minutes away.